Cosmetic Surgery Partners :: Is there an age limit for cosmetic surgery? Is there an age limit for cosmetic surgery? There are a lot of misconceptions surrounding cosmetic surgery, as well as the people who choose to undergo cosmetic surgery procedures. One commonly held belief is that cosmetic surgery is primarily undergone by women, rather than men. However, we debunked this myth in an earlier blog post, where we looked at the rise in male cosmetic surgery. Another misconception that surrounds the world of cosmetic surgery focusses on the age of patients seeking out surgery. Many people assume that the majority of cosmetic surgery patients are middle-aged, seeking surgery in an attempt to battle some form of misguided mid-life crisis, but this just isn’t true. People of all ages and from all walks of life undergo cosmetic surgery, for any number of different reasons. While more and more young people are undergoing cosmetic procedures, we are also seeing a rise in the number of older people wanting cosmetic surgery. These days, it is not uncommon to see patients in their 60s and above. When it comes to older people opting for cosmetic surgery, there are just as many reasons for them choosing this route as there are with younger patients. One reason that has led to the rise in older people having cosmetic surgery is the decrease in the stigma surrounding it – now it is no longer frowned upon if you want to improve your appearance with surgery. Certainly, more high profile figures being open about procedures they have undergone has aided this rise in elderly cosmetic surgery patients. Some older people may feel as though cosmetic surgery could help them in their careers. These days, people are working until later in their lives, and some people may feel the need to look younger in order to compete in the workplace. There is also a lot to be said on the positive mental impact a positive physical change may have to the elderly patient. The phrase “look good to feel great” certainly holds a large portion of truth. Conversely it works both ways, thanks to constant advances in medicine, people are living longer lives than ever before, experiencing better health until late in their lives. It is perfectly understandable that people will want to look as young as they feel! 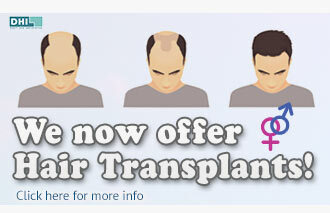 Is there an age limit for cosmetic surgery at our clinic? The bottom line is this: we at Cosmetic Surgery Partners have 2 simple rules when it comes to an “age-limit” in cosmetic surgery patients. As long as the patient is in good health there is no real upper age limit. 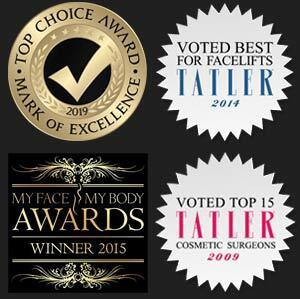 The health of our patients is paramount to successful cosmetic surgery. We will be able to decide if you are suitable for surgery during your initial consultation where our surgeons will perform a series of health checks to make sure you are a good candidate. If you’re looking to achieve your dream appearance, why not get in touch with our expert team today to see if cosmetic surgery could help you.